Car puns. Jalops live for them. Usually the puns are just a few words typed onto an internet website, but one Chevrolet Astro owner decided to build an actual, physical pun using a little bit of turf. But rather than let this apparently great-running Astro succumb to the evils of the junkyard crusher, the owner turned it into an awesome rat-rod by chopping its roof off, adding a custom windshield, removing much of the interior, and laying down some turf. Astroturf! Get it? Folks, I’ll be here all week. 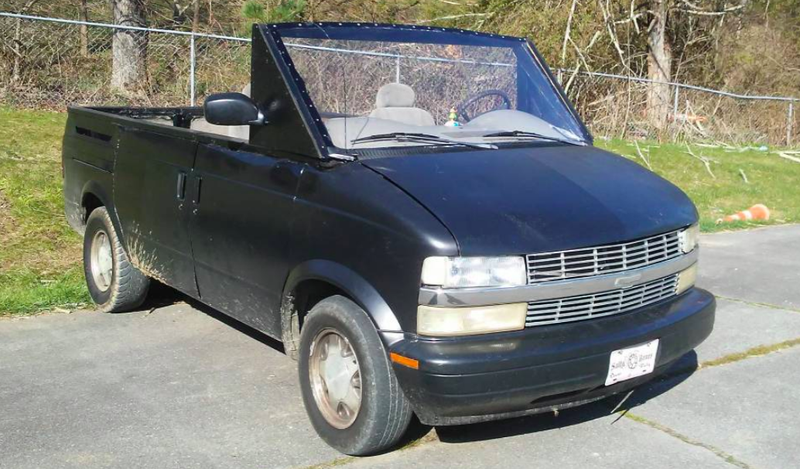 At $5,000, Could This 2001 Chevy Astro 4X4 Make Anytime Van Time?